Hundreds of sectarian attacks on Orange Halls have taken place across Northern Ireland, at an average rate approaching 40 per year since 2009, the Sentinel can reveal. Londonderry DUP Councillor Gary Middleton said that there was a clear campaign against the Orange Institution and its property, but that the number of attacks on Orange Halls should not allow those who want to drag us back to do so. Information obtained under the Freedom of Information Act (FOI) shows that there have been 227 attacks on Orange Halls across Northern Ireland in the period from January 2009 to November 2014 - a rate of around 38 attacks per year. A number of these attacks have taken place across the North West, including the July 2014 theft which occurred at Eglinton Orange Hall and the arson attack at Edenmore Orange Hall in Limavady the same month. The number of attacks have, however, been declining year-on-year since 2009. DUP Councillor Gary Middleton said: “It is disgraceful but not surprising that there has been over 200 attacks on Orange Halls throughout Northern Ireland since 2009. “Over many years there has been a clear campaign against the Orange Institution and its property. Throughout my time in politics I have had to work with several orange lodges who have had there properties damaged. “Whilst these statistics are a reminder that there are still those within our society who wish to cause hurt and damage, we should focus on all of the good work done over recent years and not allow those who want to drag us back to do so. The figures are taken from a response by the PSNI to a request made under the Freedom of Information Act. 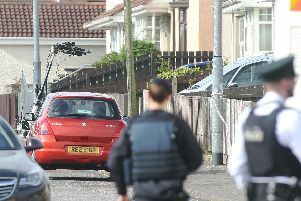 The FOI response shows that the PSNI made at least one arrest in connection with the incident on just 13 occasions. In response, the PSNI decided to disclose the requested information in full. The FOI response stated: “The information is taken from overall attacks on symbolic premises, where the premises in question are an Orange Hall.